ONLINE PARENTING COACH: My Child the "Drug Dealer"
Your child was once loveable, cheerful, and a fairly good student. But now his behavior has changed dramatically. And to make matters worse, you suspect that your child is now using AND selling drugs. No attempts to reason with your teenager have helped. You have scolded, threatened, taken away privileges, had difficult talks with the school and the cops – and nothing works! You are watching your adolescent turn into a “stranger in your house.” The stakes are high, because he’s engaging in criminal behavior that could cost him jail-time, and he’s putting chemicals in his body that may literally destroy him. What now!? The first step is to recognize the signs of drug abuse and drug dealing. Why do some adolescents use and sell marijuana and other drugs? Some adolescents are bored. Playing with criminal behavior is exciting. The drama and risk of getting marijuana, hiding it, using it, and selling it is its own kind of high. Some adolescents become drug users and dealers because they can’t figure out another way to fit in. The entrance requirements for the drug culture are easy. Just buy, use, and sell marijuana. Bingo! You have a group to hang with. For adolescents who are lonely or feeling they don’t have what it takes to gain membership in another high school group, this is very enticing. Some adolescents develop an addiction. It’s simply not true that adolescents don’t develop a dependence on marijuana. Some do. It’s also possible that you don’t know what else your child has been taking. Some adolescents get in over their heads and don’t know how to get out. What started as a way to fit in takes on a life of its own. Other adolescents threaten them if they try to leave the group. 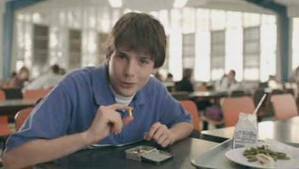 Some adolescents think that using marijuana is normal. They have peers whose moms and dads smoke pot with them. They know grown-ups who rationalize their own illegal drug use by stating that it is no worse than alcohol and should be legalized anyway. Some adolescents self-medicate. Some teens who suffer from untreated depression or anxiety may use drugs to cope. 1. Check your teen’s bedroom. Good places to look for marijuana: under mattresses, under dressers, under cabinets, attached to the back of the drawers, inside pockets of clothes and jeans the teen never wears. 2. Check your teen's attendance record at school. Is your teen skipping school to go get high? Does he leave early, arrive late, and sometimes not show up at all? Does he forge notes from his mom, or steal passes from the school office? 3. Check your teen's vehicle after a Friday or Saturday night. If they were smoking in their vehicle, you can usually smell a strange odor coming out of it. Check for small pieces of joints (green leaf-like particles or seeds on the floorboards or seats). Look for white pasty substances on CDs, CD cases, dashboards, pictures, or mirrors that they might be doing meth, crack, or cocaine off of. 4. Consider finding a therapist who specializes in adolescent substance abuse. If your child won’t go, go yourself. An experienced therapist will be able to help you figure out how to approach your child and what you can do for him – and for yourself. 5. Consider where they get their marijuana. Teens usually start by getting their marijuana through their friends, eventually building up a network of dealers whom they meet at a convenient location. Some get their marijuana in parking lots (e.g., fast-food restaurants, superstores, gas stations, movie theaters, etc.). 6. Develop an open, strong and trusting relationship with your teen, one without judgment. Don't get angry with what your teen comes to you and tells you, or the next time they won't share with you what's going on in their life. Give them advice and maybe they'll make a better choice in the future. 7. Don’t mistakenly pay for your teen's marijuana. Parents often give their teen money to buy clothes or eat out, but the teen is saving that money to spend on marijuana. If you suspect your teen is using and/or dealing drugs, never give him cash. 8. Don't think your teen is too young to be exposed to marijuana. 9. Double check alarm systems. Even though parents may have an alarm system in their house, a teen is able to find a loophole to get out of the house past curfew time (e.g., fire escape ladder to get out a bedroom window and to the ground). 10. Figure out what you will and won’t do if your teen gets into legal trouble. Will you get a lawyer to help or is he on his own? Calmly tell your teen what those limits are – and mean it. Then be prepared to follow through. 11. Find out who the other moms and dads are. It generally helps when moms and dads band together. There are probably at least a few of his friends with moms and dads who are as concerned as you are. Get together and brainstorm ways to get your adolescents busier with positive things. 12. Get your extended family to help in a positive way. Saving an adolescent is a family project. Can the grandparents take your teen along on weekend outings? Are any of his uncles doing something he’d like to learn? 13. Give your teen a random drug test. Make sure it's after a weekend. 14. Identify the things that are going well, however small. These are the things you can build on to develop better self-esteem and better communication. Does he come to dinner with the family? Laugh at a joke? Anything like this means that he is not totally disengaged from the family. Remember this to give yourself hope and encouragement. Compliment your teen whenever you can to strengthen the connection between you. 15. In spite of the turn of events, this is still your child. Try to find ways to put aside your anger, fear, and disappointment. Let your teen know that the reason you are angry and afraid is that you care deeply about him. Catch him being good as much as you can. 16. Know who your teen's friends are. If a teen won't bring their friends over to the house to hang out with their parents and get to know them a little better, they most likely have something to hide. 17. Let your teen know that you see through the bad behavior to the talented, smart child he once was – and still is. He doesn’t have to meet some abstract standard of perfection or compete with anyone else for your love or attention. He is valued for who he is. 18. Lock your liquor cabinet. 19. Look closely at your teen. To cover up the physical signs that your teen is using marijuana, he might pull his hat down over his eyes, put gum in his mouth, and put Visine in his eyes to take away any redness. When he comes home, he may avoid conversation by giving his parents short yes or no answers. When drug use takes a toll, you may notice a rapid loss of weight, paleness of the skin, discoloration, dark circles under the eyes, shaky hands, dropping grades, more absences from school than you know about, sudden mood changes, and a rise in anger at family members. 20. Check their text messages, and look through their pockets, purses, wallets and backpacks. Ask for permission, but if they're mad that you're looking through their stuff, it may be because they have something to hide. 21. Make an appointment with a therapist for a comprehensive evaluation. Let your child know that sometimes people get involved with marijuana because there is something legitimate going on. You care enough about your teen to find out. 22. Remember that the most trusting parents are the ones who are the easiest to take advantage of. 23. Remind your teen that it is a parent’s job to help their adolescents grow up physically healthy and emotionally strong and you intend to do your part. You don’t want your teen to go to jail, overdose and get sick, or die. You will therefore never get off his back about marijuana. 24. School guidance counselors have seen lots of adolescents like your child. They have also seen lots of moms and dads who have abdicated their responsibility for their adolescents. They don’t know that you are a concerned parent unless you tell them. There may be a drug abuse program connected to the school. If so, take advantage of what help is offered. 25. Try to get your teen involved with something he likes that will put him into a different group and take up his time in a positive way. He needs new ways to feel good about himself. Work behind the scenes and get someone else to call your teen with an offer or an idea. The bottom line is this: Parents should step back and analyze what is really going on. Drug use and drug sales are a sign of a much deeper issue. Like most moms and dads, you’ve probably been dealing with the symptoms (e.g., hair, dress, curfews, contraband, etc. ), not the deeper problems (e.g., feelings, peer pressures, family dynamics, addiction, etc.). You will be in a much better position to come up with solutions if you have a better idea of what the real problems are. • Anonymous said... I'm sorry to say, but this will end one of three ways. Hopefully they will grow out of it. If not stabbed or locked up. Sorry to be brutal but it's probably going to go one of these ways . Good luck. • Anonymous said... My son has left for a year now he is not returning my calls or messages. I think he is dealing, because he ordered 100 baggies and tape. The invoice came to my house. I have the address where the material was shipped to. I don't know what do. Should I inform the police. • Anonymous said…I am battling the same problem, thats getting worse by the day. Not sure how im going to address it. Im not sure a criminal record is going to help in the long run. My question is where does it end? There seems to be no easy answer. Ignoring it just makes it worse in my opinion. • Anonymous said…Kids won't be mad that you're looking through their stuff because they have something to hide, it's because that's a violation of privacy. If you're trying to control your kid's life, they're going to rebel even harder. • Anonymous said…Omg I'm very worried about my daughter. She's running away from home for several days.She skips school. I report her as a missing person but they never find her. She comes back on her own. She's always bring home bags of stuff and she put a lock on her door against my wishes. Her language is off the rude and disrespectful. Weve gone to counselling and no change in behavior. She eventually refused to come. I've gone to family court and they said I need a an attorney. She has to get caught some how for any law inforecment to step in. • Anonymous said…What do i do when the person selling my son pot is 24 years old? Do i call the police? • Anonymous said…YES!!! I also wanted to add that, unfortunately, some kids sell drugs to have money :(. My 16 year old is a drug dealer. Hes been arrested and were awaiting on court dates for the outcome as he was found with 20bags of weed. I do not know what to do to help my son my bf wants me to kick him out but i dont feel this will help him. I wish i knew what to do that will help him go on the straight and narrow. Hes left school with no GCSES. Not sure if kicking him out is the answer, I dont know. Just let him know you love him still.. Im going through somethi g similiar. My 16 yr old is dealing as well, i found bags if pot in his room this morning. I dont know what to do about it?